Miniature bronze sculpture representing Col. Joseph Rodriguez, USA, Medal of Honor Recipient from the Vietnam War.. 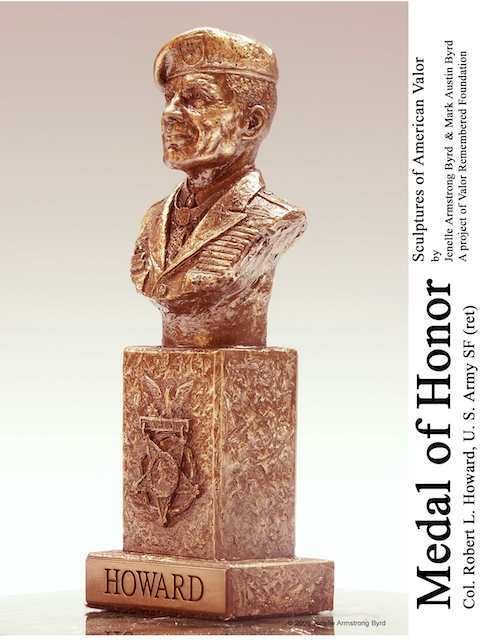 The sculpture is one of the Medal of Honor Portraits in Bronze series created by the sculptor for the benefit of Valor Remembered Foundation. Robert Howard was one of the most highly decorated soldiers in American history. The first casting of "Howard" was presented to him on the occasion of his last public speaking event before the Retired General Officers Association just a few months before he died in December of 2009.